Distributed Video allows you the benefit of hiding away your clutter! Get rid of all those messy cables, boxes and TV furniture from your viewing area and hide them away. With a suitable Distributed Video solution from Azro you can relocate your source equipment (such as SkyHD, BluRay Players etc.) to a more appropriate locations in the house, where they are out of sight. 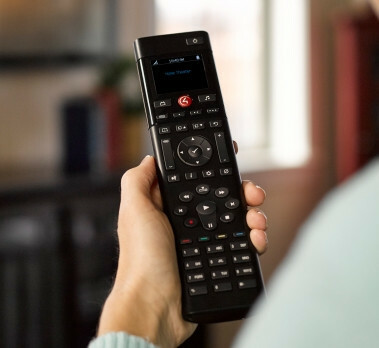 Your TV viewing area is then left clear of clutter and cables, and control is simple with a single remote that replaces the pile of remotes normally on the coffee table. All of this is possible without comprising your picture and sound quality also. Video Distribution is available in full High Definition, and now also in 4K, so whether it is your TV in the living Room or your projector in the Games Room, your viewing experience will be the highest pixel perfect quality you expect. Distributed Video also works well for commercial spaces too, such as Bars and Restaurants. Our bespoke Commercial solutions offer the very best in picture distribution to multiple screens at a variety of distances. Whether you are looking at advertising or promotional content, or the latest sporting event shown throughout the bar, Azro have solutions that will meet your requirements.